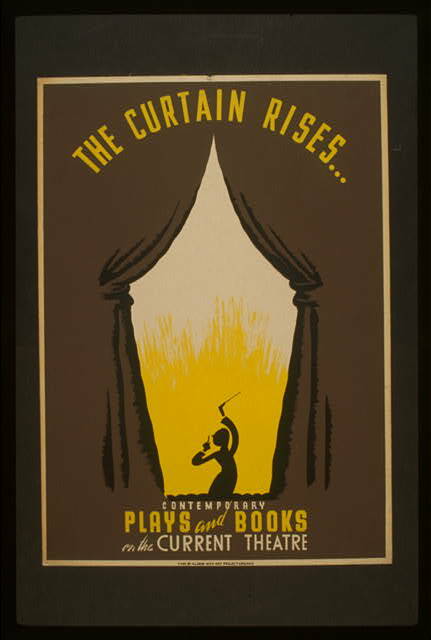 Titled, The Curtain Rises...Contemporary Plays and Books on the Current Theatre by an unknown artist. It was also commissioned for the Illinois WPA Art Project, and features a conductor standing before an open theatre curtain. The LOC also notes that this poster in their collection is date-stamped on verso: Jan 8 1942.